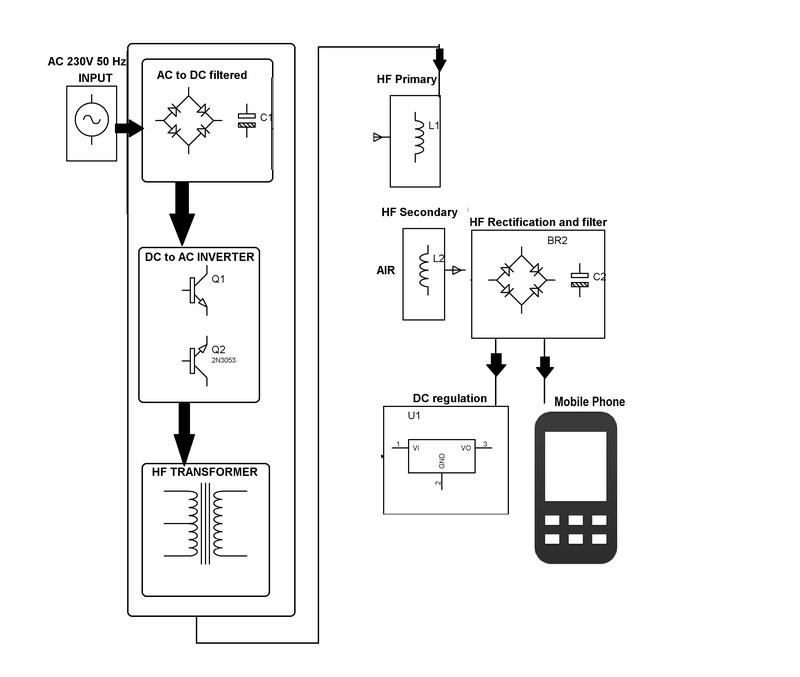 This system demonstrates the concept of wireless mobile charging system . The system allows user to wirelessly charge his mobile phone without plugging in the mobile adapter. We demonstrate the system using a charging pad where user just needs to place his adapter circuit to charge the mobile phone. For this purpose we utilize the advanced power transfer concept. For this purpose we use a high frequency transformer to convert mains input 230V AC to 12 V DC. 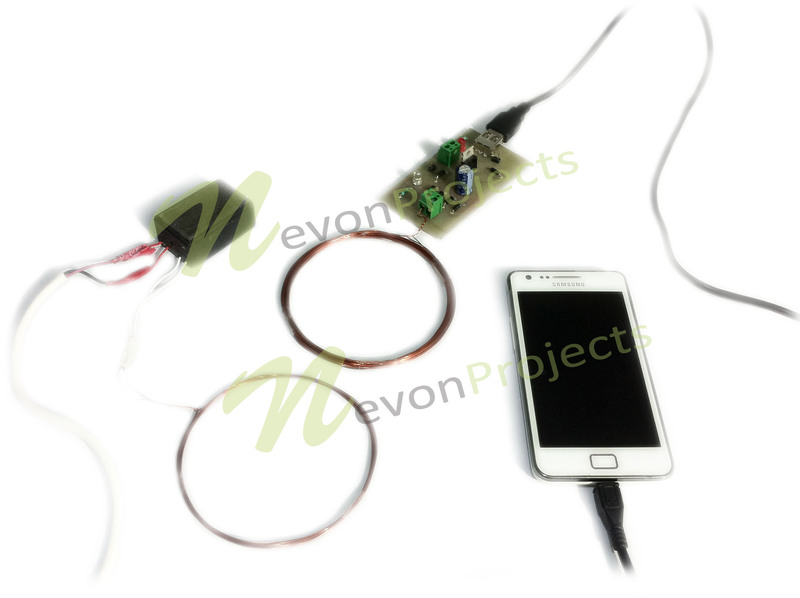 This output is supplied to the charging pad coil When the adapter coil comes in range of the charging pad coil, the power is transferred wirelessly to the receiving coil and this 12 V dc is provided to the adapter circuit which is used to convert this 12 V DC to 5V DC which is then supplied to the mobile phone. So this allows us to charge the mobile phone wirelessly without plugging it in. The system can be further enhanced by integrating the charging adapter within the mobile itself so that user just needs to place his/her mobile phone on the charging pad to charge it.